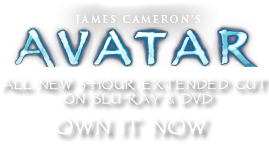 Battle Camp Bowl | Pandorapedia: The Official Guide to Pandora | Own AVATAR on Blu-ray & DVD Now! Personal bowls are hand-sized, but some bowls are large enough to accommodate painting banshee or direhorse war mounts. Materials and Construction Tightly woven fiber, leather, with a wooden bowl base. The wooden base is carved and shaped from a nonporous hardwood. The decorative parts are woven and constructed.